Mr. Jerry Lee Skipper, age 77, husband of the late Freddie Rabon Skipper, passed away March 27, 2019 at Conway Medical Center. Mr. Skipper was born March 7, 1942, a son of the late Archie Lee and Margaret Barnhill Skipper. 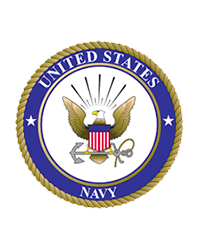 Mr. Skipper was a veteran of the United States Navy and a member of Pleasant Union Baptist Church where he was active with brotherhood and the choir. He is survived by one daughter, Susan Skipper, two special nieces, Louise Cartrette (Bud), Wanda Rabon (Larry), and his two special great nieces, Viola Cartrette, and Kristy Brown (Lindsay). A graveside service will be held for Mr. Skipper 11:00 AM Saturday March 30, 2019 at Pleasant Union Baptist Church Cemetery with the Rev. Lindsay Brown and Rev. Larry Johnson officiating. Visitation will held after the service in the church fellowship hall.